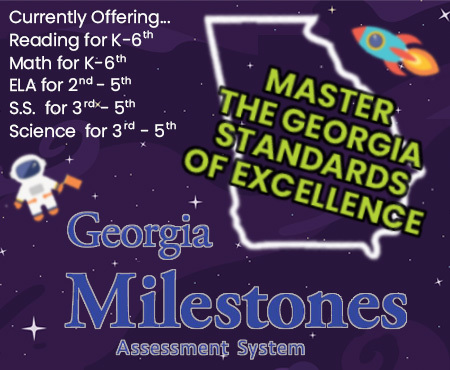 Education Galaxy provides online GMAS (Georgia Milestones Assessment System) preparation for students in grades K-6 to help build mastery towards the Georgia Standards of Excellence (GSE) and improve EOG scores. Our unique online program is easy to use, available in English and Spanish, and enjoyable for both teachers and students. Students work on their Study Plans practicing important concepts while teachers pull formative assessment reports to identify the strengths and weaknesses of their classroom and individual students. None of our content is ever simply “Aligned”. We ensure all our questions are built from the ground up to prepare students for the rigor of the Georgia Standards of Excellence and Georgia Milestones testing. Education Galaxy provides thousands of GSE questions covering varying DOK levels for you to use with online assessments and printable worksheets. Content covers math, language arts, reading, social studies and science. Learning does not have to be boring! When students become engaged, they become successful learners. We created Education Galaxy to help students master the Georgia Standards of Excellence and to have fun while doing it. We provide many games and rewards that enhance the learning process without distracting the student. 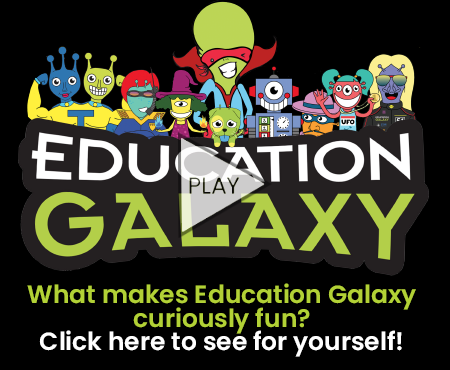 With Education Galaxy in your classroom, your students will beg for more!Learn More! Most online programs fail at providing adequate or helpful feedback to students after they miss questions. Many programs offer text based feedback that students rarely read and quickly ignore. Our revolutionary Alien Explanations provide video explanations for every single question that is specific to that question. This provides drill-down instruction to the very basic skills the students are struggling with. With Education Galaxy, your students will quickly master concepts because their instruction is tailored to them. 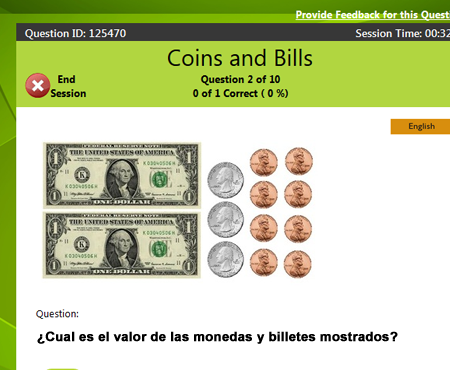 All of our assessment items are available in both English and Spanish. Three different language modes allow you to customize the experience for each student. Choose whether to allow students to toggle back and forth between English and Spanish or to see questions in only English or only Spanish. Georgia Standards of Excellence (GSE) preparation is fun and rewarding with Education Galaxy. DOK levels 1-3 are covered for the student to practice challenging GSE’s. 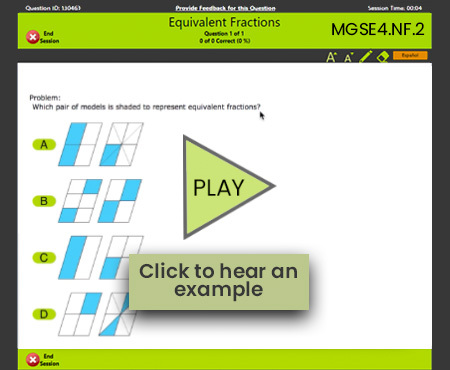 Students can take formative online Georgia Milestones practice assessments and receive immediate video feedback when questions are answered incorrectly. Students must first get the correct answer before moving to the next question. When sessions are complete, students are given a full summary of their work and can even go back through missed questions. Study sessions allow for true GSE assessment and provide valuable practice for students. We Also Support Kindergarten and First Grade! Along with wonderful solutions for grades 2-6, Education Galaxy provides amazingly fun solutions for our younger learners in kindergarten and first grade. 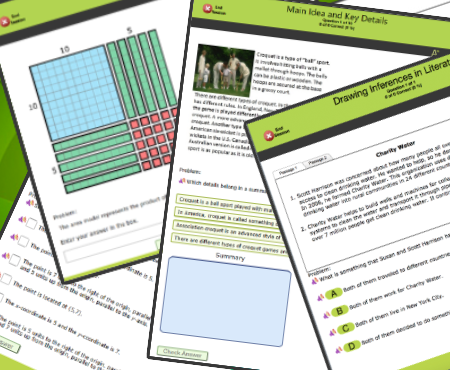 Students are seamlessly integrated into an assessment environment with beautiful graphics, games, and fun questions. A real human voice reads all text to the students. In many cases, it is other kids reading the reading passages and questions! 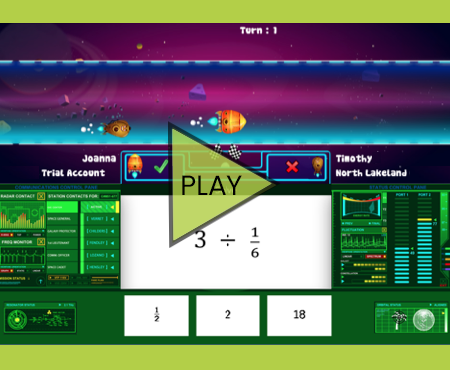 Your young learners will love Education Galaxy! Students immediately have access to GSE formative assessments online with their personal Study Plans. Education Galaxy also allows you to easily create custom summative assessments with our huge library of content sorted by standard. Need worksheets? Use Education Galaxy to create custom worksheets with our unique Worksheet Builder. Georgia teachers can easily pull different reports filtered either by student, class, grade level, subject, or school. Reports allow teachers to quickly find the specific GSE that students are doing well in and areas that require more instruction. 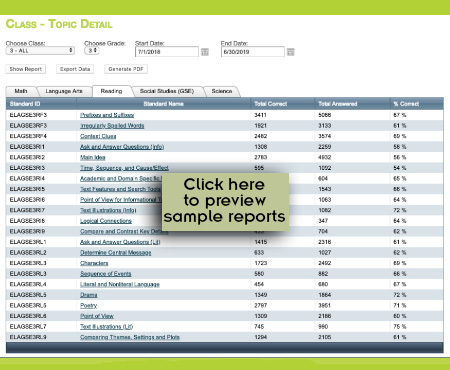 Use individual student reports to help with parent teacher conferences or student progress reports. 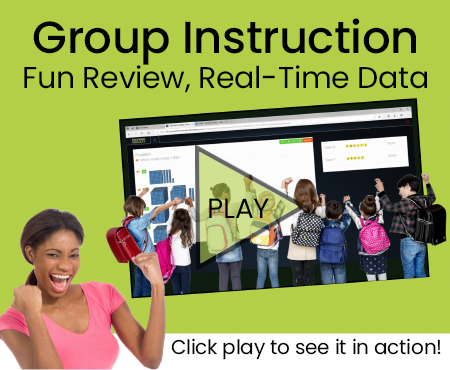 Get your entire class involved while enjoying real-time data on every question and standard for all your students. Allow your students to compete in teams or small groups. 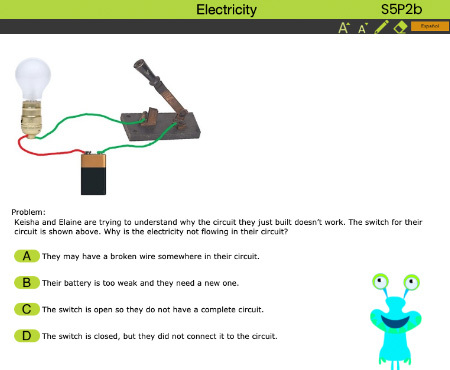 When students struggle on a question, play video Alien Explanations to provide specific instruction. Winning teams are rewarded with a QUICK game after each successful question. Best game score wins! Watch live as each student answers the questions and see the results immediately to grasp class and student level comprehension of each question or standard. Assign your students writing assignments to help them practice writing literary, expository, procedural, and persuasive compositions. Here’s how it works: The teacher would select a prompt and scoring rubric (optional) to assign to students. Students would then type and submit a draft of their composition online. Then teacher reads, scores, and provides feedback to student drafts online. Next the students review feedback, edit their draft, and submit their final composition. Then the teacher will score the composition online or offline. Skills Practice allows the student to work on fact fluency and basic skills in a fun way. Students compete in a race against other students while practicing their fluency. 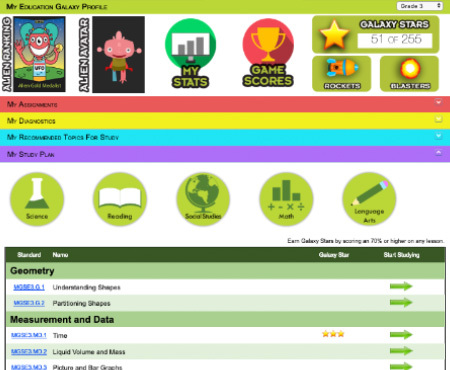 Our facts and fluency module allows for a break from the rigorous test prep style questions throughout the rest of Education Galaxy programs. We support many assessment options aside from multiple choice questions. 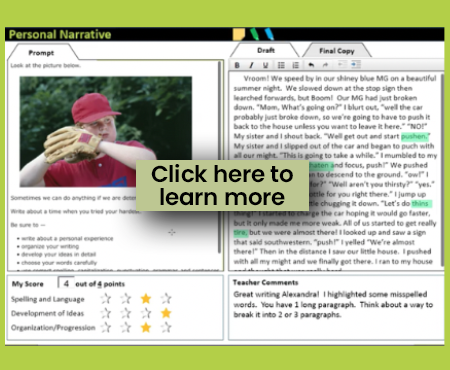 Challenge your students with next level question types including drag and drop, dual-passage, multi-select, and text response that support a deeper level of understanding. 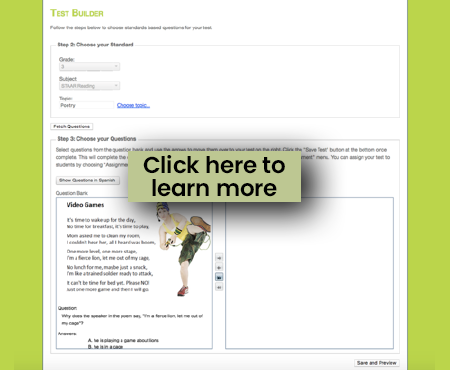 Our test builder helps teachers create their own assessments and assignments. Teachers can create and share formative assessments, spiral reviews, benchmarks, or any other custom test desired. Create quick topic-based assignments with randomized questions or choose each individual question for your custom test. Have students with skill gaps? 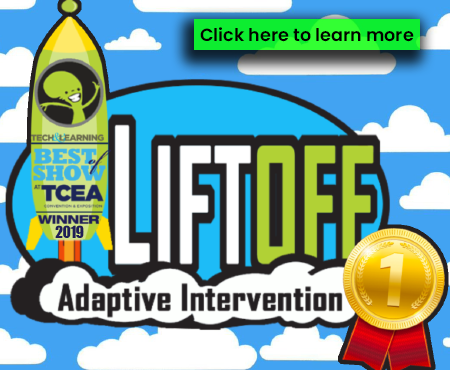 LiftOff, our adaptive intervention program, is a great resource for your students needing extra assistance with their math and reading skills. Through adaptive diagnostics, we identify skill gaps in a vertical alignment and create personalized learning paths for each student. The program offers read aloud and Spanish support features. Reports provide weekly and monthly progress monitoring. Another report helps teachers to purposefully plan for ability groups. LiftOff is a schoolwide solution, upgraded license required for access.